Geoimaging - LARA project at the Geospatial Word Forum 2016 and European Space Solutions 2016 Conference. 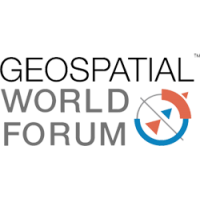 LARA project at the Geospatial Word Forum 2016 and European Space Solutions 2016 Conference. LARA, a project received funding from the European GNSS Agency under the European Union’s Horizon 2020 research and innovation programme under grant agreement no. 641460, is participating in two eminent international events the next coming weeks. Firstly, LARA is participating in the Geospatial World Forum 2016, Rotterdam, The Netherlands, and more specifically in the workshop “Benefits and key-features of the European Global navigation Satellite System (E-GNSS) for the Geospatial World”, organised by the European GNSS Agency on Tuesday 24/5/2016 (13:00-17:30). LARA was also invited to participate in the roundtable discussion at the end of the workshop. LARA is also participating in the European Space Solutions 2016, which is under the auspices of the 2016 Dutch Presidency of the Council of the EU. For a full working week, from 30/5/2016 until 3/6/2016, LARA will not only present the current project’s developments, but also will have its own booth to disseminate project activities and offer a live demo show.